As residential development in Wake Forest accelerates, business development is booming along with it. The historic downtown area and its Central Business District are in the midst of an extensive revitalization program. The areas near Capital Boulevard, Main Street, Highway 98 , and Heritage are experiencing similar, rapid growth. According to the Wake Forest Economic Development project, there are over 50 commercial and non-residential development projects approved or under review by the town of Wake Forest that includes new shopping centers, office and mixed-use buildings, hotels, restaurants and retailers. Maginnis Law, PLLC has extensive experience in representing many of these companies, such as hotels and restaurants, commercial landlords, and construction contractors and subcontractors, but the firm’s civil litigation practice is able to represent any small and medium sized business, particularly start-up businesses looking to establish a long-term relationship with their attorney. The firm invites Wake Forest business owners to review our business law page here to see how we can help your business continue its path of smart, responsible growth. Whether your business has issues with vendors, employees, landlords, tenants, contractors, insurers or otherwise, we have extensive experience and would love to help you. The firm also represents the individual owners of Wake Forest businesses with any personal needs such as with personal injury, insurance coverage, or unfair debt collection. Maginnis Law is proud to represent Wake Forest-area and Franklin County businesses. Rather than traveling downtown, the firm can meet you at your business for a consultation. 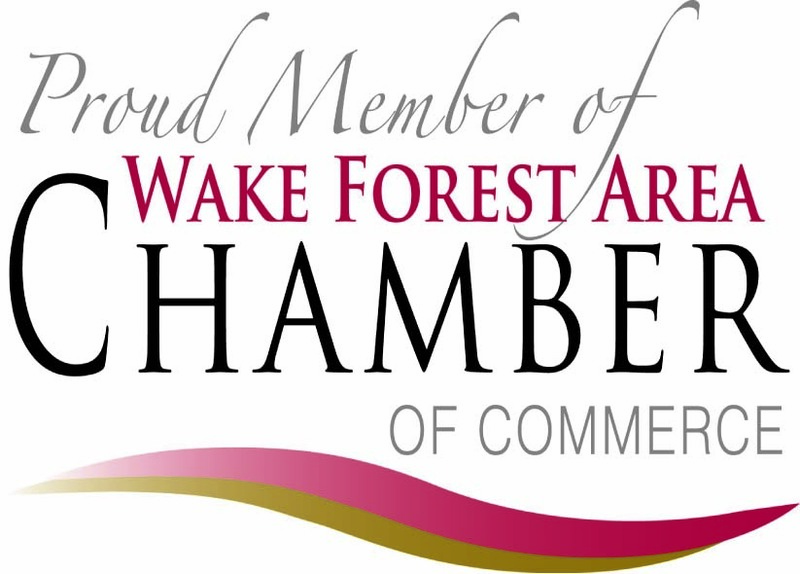 Maginnis Law, PLLC is a proud member of the Wake Forest Chamber of Commerce. Although our office maintains close proximity to the Wake County Courthouse, because our lawyers are part of the growing residential community in and near Wake Forest, we are able to meet with business owners at their place of business in Wake Forest if it is more convenient for you. Contact the firm at 919.526.0450 or submit a new case inquiry here. Maginnis Law is a civil litigation firm with attorneys handling matters in Wake County, as well as Franklin County, and Granville County. Contact the firm for a free consultation regarding your business needs.